Includes Minuteman SentryPlus ™ power management and diagnostic software to provide added control and allow unattended PC shutdown (for use on individual PCs or multiple workstations or networks). Independent Battery Bypass ™ allows the UPS to provide voltage regulation with surge or spike protection even when batteries are weak or dead. 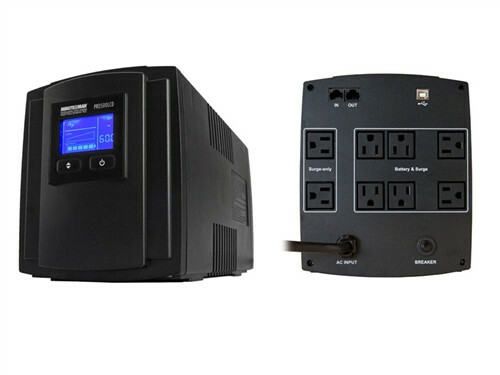 The Minuteman PRO700LCD UPS doesn't only offers Battery backup, but also offers protection against spikes, surges, sags, brownout, and blackouts. The PRO700LCD is designed for desktop and wall mounting. This UPS protects your computer, security systems, telephone, and data communication.